You've finally found the home you want, negotiated a contract and struck a deal. Now it's time to have the property inspected. An inspection will allow a qualified professional to take an objective look at the current condition of the property and prepare a report. Why have the property inspected? You are about to engage in a significant financial transaction. You want to make sure the merchandise is in good condition. The inspector you are looking for is a professional who knows old homes and new homes inside and out. One who crawls around the property looking for structural and equipment flaws, and who will give his customer a written report that will take some of the gamble out of buying the property. Hire an independent inspector who has no vested interest in the transaction and who is a member of a trade association, such as the American Society of Home Inspectors. These members have agreed to abide by a written code of ethics and prescribed standards of practice designed to protect prospective buyers. While a Real Estate agent like myself might provide you with a list of qualified home inspectors, you are free to interview anyone you wish - Remember that the final decision regarding who to hire is entirely yours. Never let another agent tell you that you must use someone from their "approved" list! What Do Real Estate Inspectors Do? An inspector can save a future homeowner a lot of grief and expense by identifying potential problems. 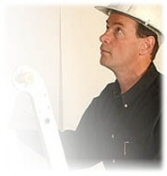 Inspectors check the condition of the structural, electrical, and mechanical elements of a house. While they won't recommend whether or not you should buy the house, they can tell you about defects they find and the estimated cost of repairing or replacing the defect. Inspectors usually look for significant defects only. Inspectors, unless contracted to do otherwise, do not routinely check for termites, asbestos or radon. They do not report on coldness of refrigerators, accuracy of oven temperatures, carpet stains or loose door knobs. An inspection may not include anything outside the house, such as pools, garages, sheds or water flow from an outside well. Inspectors are not required to check the adequacy of the heat supply to individual rooms, examine carpet or drapes, or even make sure that the roofing materials comply with local codes. They do not have to test every single door and window or electrical outlet in the house, only a representative sample. A basic package may include inspection of the following: central heating systems; central cooling systems; interior plumbing systems and components; the roof's structural soundness; walls, ceilings and floors; foundations and basements; the operation of built-in appliances. Make sure the service you hire has adequate liability insurance. Especially important is Errors & Omissions Insurance. This insurance protects the inspector, and indirectly you, against any post-inspection legal problems. The report should assess the quality of the following parts of the house: grading, drainage, landscaping, fencing, paved areas, garage, exterior walls, doors, windows, porches, decks, roofing materials, chimneys, gutters, skylights, basements, crawl spaces, attics, construction, structural stability, water penetration, ventilation, insulation, plumbing systems pipes, drainage, faucets, water heater, water pressure, laundry appliances, traps, electrical system, fuses, circuit breakers, wires, outlets, switches, heating and cooling systems, kitchen and bathroom fixtures, appliances, plumbing and flooring. You may want to hire a specialist if you want a swimming pool, tennis court, well or septic system inspected. The report may be presented as a set of worksheets or checklists covering the structure inspected, from roof to basement. Brief remarks may be added as necessary. The inspector may write a report regarding the overall condition of the property, along with suggested repairs or improvements. The report should include information regarding current problems and those that may be pending. Whatever form the report takes, it should give you a realistic idea of what the condition of the house is. Never accept a verbal report. You want a written record of the inspection. Shop around. Find out exactly what the inspector will evaluate. Find out what the fee is for the basic inspection and for additional services like radon testing or water testing. Ask how long the inspection will last. A good home inspection should take about three hours or more. Be skeptical if the inspector does not want you to accompany him during the inspection. You can learn a lot by tagging along. Most likely he will go slower with you around. Some of the larger home inspection services may offer "inspection warranties." These are usually good for one year. They can add credibility to the service's report. Ask to see the warranty before you pay for it. An inspection warranty can be useful if you are selling a home. It could be a comforting sales tool. This sale is contingent upon receipt of a structural, mechanical, and electrical inspection of the house and a condition report by (ABC Inspection Company). The cost of the inspection will be assumed by the buyer and the inspection will be performed within seven (7) days of the signing of this agreement. If the condition report reveals any structural, mechanical or electrical defect(s) for which the cost of correcting any such defect will exceed ($500), the seller will have the following options. A) Effect the necessary correction of the defect(s). B) Negotiate the cost of correcting the defect(s) with the buyer. C) Declare the agreement null and void. In the event that the seller does not exercise any of these options, or cannot negotiate the cost of repairing the defect(s) with the buyer, and if the buyer does not choose to ignore the defect, the buyer will have the right to declare the agreement null and void. Should either party to this agreement make such a declaration, any deposit made by the buyer shall be refunded in full. All options must be exercised within seven (7) days of the inspection date." First off, no home is perfect! All homes have flaws, defects, and a degree of deferred maintenance. When you are buying a re-sale home, you are generally buying it with all of it's benefits along with all of it's flaws. A very thorough inspection report is typically lengthy and it may note many "issues" in the home, however, many of these inspection notations tend to include cosmetic issues and items that are minor flaws. A few examples might be, electrical sockets that are upside-down, light bulbs that are not functioning, a door that is not swinging properly, a broken latch, etc. The report may also note items that are not up to current building code. The home may have been built before many of today's current building standards and because of this, the seller is not obligated to bring the home fully up to code except in the case of mandatory compliance items, if this was requested in the purchase agreement. Breach of the firewall in the garage, due to holes in drywall or lack of a self-closing garage door. The home inspection report is NOT a fix-it check list for the seller! Note any major issues that might be "deal breakers". Aside from mandatory compliance items, a home seller is under no obligation to sell the home to you in perfect condition or up to today's building code standards! Mandatory compliance items may include items such as, smoke detectors, CO2 detectors, and proper water heater strapping. There may be other state or local compliance items that are also required. These items should be considered non-negotiable. If there are legitimate safety issues in the home, you (the buyer) should also expect that the seller will repair these items, or credit you enough to repair these items after close of escrow, even though the seller is not obligated to do so. Bringing items up to code? The seller is under no legal obligation to bring an older home up to today's building code. While you may wish to address some of these issues (for safety reasons), you cannot demand that the seller do this for you. If you are buying an older home (1940s, 1950s, etc), the building was likely built using coding standards of that era. The seller has the right to sell the home in this condition, and aside from mandatory compliance items, there is no (known) law that states that the structure has to be brought up to today's coding standards. If you don't like the building code standards of an older home, then don't buy it! You are under no obligation to continue with the purchase of the home if you feel that the home has many defects or safety issues, as noted on the inspection report. A home inspection is one of the "contingencies" when buying a property. You may legitimately refuse to continue with the purchase of the home, as long as you are still within the contingency period (typically, this is 17 days). How much of a repair credit may I request? I always advise buyers to act reasonably. Go ahead and request a few things, but be prepared to compromise. At an absolute maximum, you should not ask for a credit amount that is in excess of your recurring and non-recurring closing costs. All financial items within a purchase transaction must be disclosed on the HUD-1 settlement form . A home seller is not allowed to just pass money to you for repairs. A seller may only credit your closing costs up to the maximum amount. If for example, if they were to give you funds outside of what is disclosed on the HUD-1, it is technically lender fraud. What this means is that, while you may ask for $7,000.00 in credits, if your closing costs total to $6,000.00, the seller is under no obligation to pay you the additional $1,000.00! But can't the sellers just send me a check for the difference? Don't they owe me the money? Their agent will advise them not to do it and legally they don't have to. Again, any "off of the HUD-1" financial dealing between buyer and seller would be considered lender fraud. With that, even though you may have an agreement for a certain amount of closing cost credits, escrow will only credit you for the maximum allowed for your recurring and non-recurring costs -- you essentially "lose" the remainder of the credit. So what is a "typical" deal between buyer and seller? In my experience, the buyer should ask for certain safety-related items to be addressed. This can either be through actual repairs or through a credit to closing costs. As a courtesy, the seller will typically agree to a credit of between $500 and $1500. There are occasions where the seller is OK with more, but usually the credit is modest. If there are major issues in the home (e.g., a non-functioning water heater or furnace) it is proper for the buyer to demand a larger credit. If the seller refuses, you may cancel the offer and look for a home in better condition. The Request for Repairs can often become the "tipping point" between buyer and seller. Emotions can get the better of both parties and often the entire deal winds up in jeopardy, over nothing more than a small amount of repairs. Keep in mind, when you are asking for a large amount of credits, you are essentially re-negotiating the purchase price. If this is warranted (e.g., a major defect in the home) then proceed, but otherwise, be reasonable. Ask for a few items to be repaired while also being prepared to compromise. If you are the seller, be courteous and agree to a reasonable amount of buyer credits to address some of the issues with your home. If you are really uncomfortable with offering anything for repairs, then have your listing agent state that in the MLS home listing. For example, the home could be listed as "sold as-disclosed", or "seller will offer $500 in repairs". This way, potential buyers are notified in advance and future misunderstandings are avoided. * Inclusion on this list does not necessarily imply a recommendation or guarantee of service. You should always make your own independent decision when hiring a home inspector.